Jaisalmer is one of the most exotic and romantic travel destinations in Rajasthan and is famous for its heritage forts, deserts, fairs and festivals. 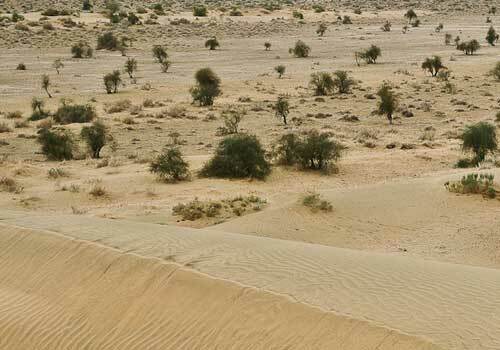 A lot of travelers come to Rajasthan to enjoy the splendid travel experience offered by Jaisalmer. The time has come for the travelers to set their eyes on Jaisalmer once again, as the popular Jaisalmer Desert Festival 2013 is around the corner and travelers from across the world has started booking their travel tickets in advance to take part in this unique desert fair in Rajasthan. The Jaisalmer Desert Fair is organized by Rajasthan Tourism Development Corporation is a three days extravaganza which will lit the Jaisalmer desert sand with excitement and will offers a new face to the tourism in Jaisalmer. The 2013 Jaisalmer Fair will be held from 23rd February to 25th February and the fair will be filled with music, traditional dances, handicraft exhibitions and other unique competitions. Two of the major competitions that are held during the Jaisalmer Desert fair are the ‘Mr Desert’ pageant, and the ‘best moustache’ contest which becomes the center of attraction of the Jaisalmer desert festival. The Jaisalmer Desert festival is one of the best events to attend in Rajasthan and during the festival you can see a lot of Indian as well as foreign tourist flowing towards this desert travel destination in Rajasthan. The tourist will get a chance to enjoy the traditional food, music, cultural performances, camel rides, camel polo, processions and ultimately the camel tug-of-war which is one of the hall mark of this desert fair in Rajasthan. The famous Jaisalmer Fort will be illuminated during this festival and becomes more beautiful than ever. You can also see a number of snake charmers, puppeteers, acrobats and folk performers which will add more color to this amazing desert festival in Rajasthan. People who tour India during the time of Jaisalmer Desert Festival, usually tries their best to attend the desert fair. There are tourists who visit India only for the sole purpose of attending the desert festival in Jaisalmer which tells a lot about the importance of this desert fair in India. The Jaisalmer desert fair is one of the best events to be with your friends and family and spend some memorable time over there. The event is also a great place to work out your camera to capture some of the most auspicious moments of this desert festival and keep it with you and also share it among your friends. Jaisalmer is connected to the other major cities in Rajasthan by air, rail and road which help the tourist to reach this desert city in Rajasthan easily. You can also find perfect accommodation in the hotels, lodges and resorts that are available in and around this beautiful city. So if you are serious about attending Jaisalmer Desert Fair 2013, then plan and book your travel now itself as you might find it difficult to book your tour later due to the huge rush of tourists. 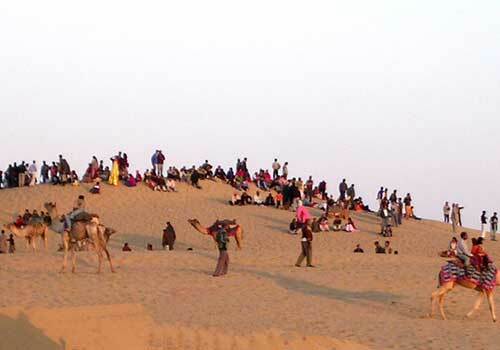 You can easily surf the internet and find any of the best tour operators that will take you to Jaisalmer Desert Festival 2013 at reasonable costs. You can also use the query forms provided on this page to help you get the best travel agent in accomplishing your trip to Jaisalmer to attend the 2013 desert fair. This entry was posted in Jaisalmer and tagged jaisalmer desert fair 2013, jaisalmer desert festival 2013, jaisalmer desert rajasthan, jaisalmer travel rajasthan. Bookmark the permalink.